Journey through history as you discover the Japanese American experience on Bainbridge Island. 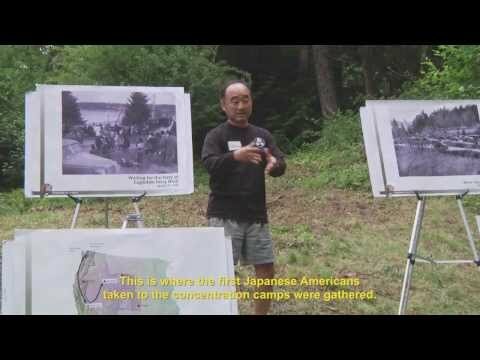 The tour bus will take the ferry from Seattle to Bainbridge Island where local Islanders will lead the tour to five key Island landmarks—Bainbridge Island Japanese American Exclusion Memorial, Bainbridge Gardens, Suyematsu Farm, Woodward Middle School, and Sonoji Sakai Intermediate School. The Bainbridge Island Bus Tour has been organized by: Bainbridge Island Japanese American Community (BIJAC); Bainbridge Island Japanese American Exclusion Memorial Association (BIJAEMA); Bainbridge Island Historical Museum; Bainbridge Island School District—Sakai Intermediate School and Woodward Middle School; Bainbridge Gardens; Global Source Education; Suyematsu Farm; and Town & Country Markets. *A highlight video of the Bainbridge Island Bus Tour will be coming soon!